God Is Cinta. JPEG. Wallpaper and background images in the God-The creator club tagged: photo god the creator images god is love logo fanart. How come I'm the only fan of this beautiful Bible quote?! 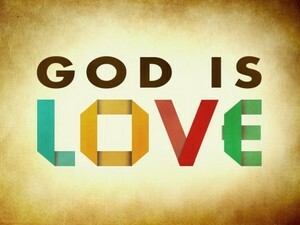 Doesn't anybody believe that God is Love? Are you sure you are even Christians??? How can you be a Christian if you don't believe that our God is Love? !